What the Hell's the Difference Between Yams and Sweet Potatoes? Sweet potatoes are yams and yams are sweet potatoes. If you're an average American who's sat before a Thanksgiving spread of both sweet potato casserole and candied yams, it's something you've probably thought to yourself. In reality, it's a little more complicated. That's because sweet potatoes and yams are in fact very different vegetables that we've come to refer to interchangeably for a number of weird reasons over the years. In fact, it's entirely likely that you've never actually eaten a true yam. So, here's a quick explainer that should help you distinguish them from one another and allow you to impress your Turkey Day table guests with some tuber trivia. The sweet potato most people are familiar with -- the long, copper-skinned, orange-fleshed kind with a tapered end -- is also the most common. However, there are lots of different soft and firm varieties of sweet potato, which come in a number of different color varieties both inside and out -- white, yellow, red, and even purple. 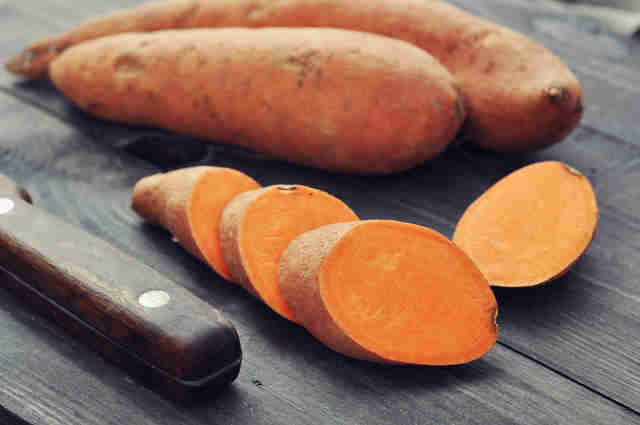 In fact, the soft, red-skinned vegetable many people call "yams" are actually a kind of sweet potato. This interchangeability is so rampant in the US that most grocery stores will even label sweet potatoes "yams" (however, the US Department of Agriculture does require them to accompany such a label with "sweet potato" somewhere). Fun fact: sweet potatoes are in the same family as morning glory flowers. 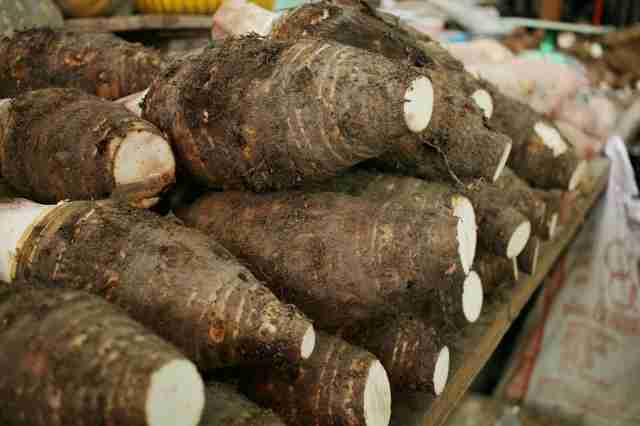 A true yam, not a "yam," has a rough (typically darker) bark-like skin, is starchier and drier compared to sweet potatoes, and is native to Africa or Asia. They can also vary greatly in size, from roughly that of a traditional potato up to 130 pounds. Frankly, to get your hands on a true yam, you'll likely have to hit up an international market since most mainstream supermarkets don't even stock them. Fun fact: yams are closely related to lilies. According to the US Department of Agriculture, the reason we've come to refer to sweet potatoes as "yams" and vice versa has to do with how certain sweet potatoes were first introduced in America. For a long time, firm varieties of sweet potatoes apparently were the only ones people in the US were familiar with. Then, when softer varieties were introduced to the masses, African slaves began calling them "yams" because they reminded them of the actual yams that grew on their home continent. Despite being inaccurate, the name "yam" stuck because there was a need to be able to easily distinguish between the firm and soft varieties. 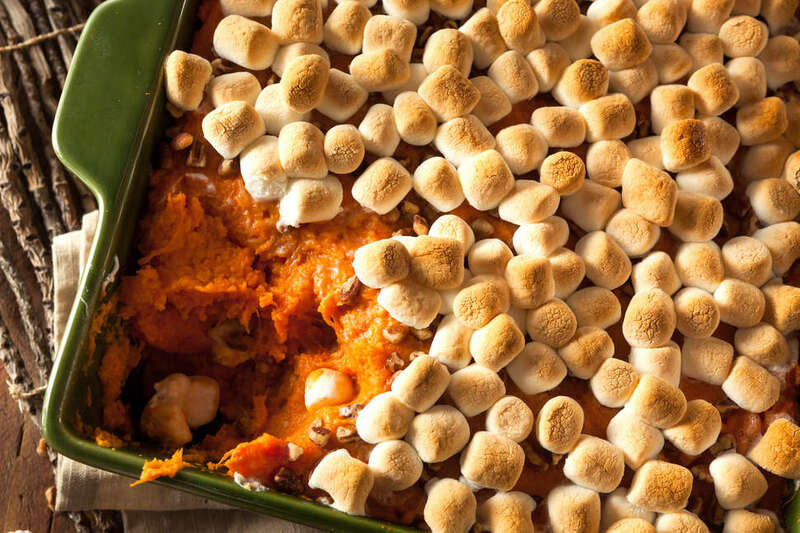 In case you're hungry for some Thanksgiving sweet potato casserole now, here's our recipe.